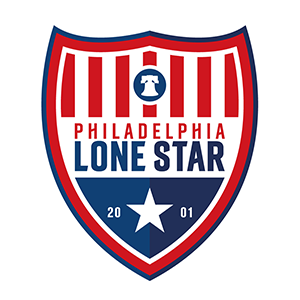 Stars Announce 2019 NPSL Regular Season Schedule | Philadelphia Lone Star F.C. PHILADELPHIA, Penn. – Philadelphia Lone Star FC, in conjunction with the National Premier Soccer League’s conference-wide release, today announced their 2019 Keystone Conference regular season schedule as the Stars return for their seventh season in the NPSL. Under the direction of Fatoma Turay, who enters his second season as head coach, the Stars will kick off their 2019 campaign on Saturday, May 11 away to defending Keystone Conference and Northeast Regional champions as well as National finalists FC Motown. After a tough season opener, the Stars will have another tough game in their home opener when they welcome Atlantic City FC on Saturday, May 18 at the South Philadelphia Super Site. That will be followed up by another home game against Torch FC on Sunday, May 26 during the Memorial Day weekend. Then comes the first leg of the I-76 Derby away to fierce local rivals West Chester United on Wednesday, May 29 before heading to Red Bank, NJ for another away match against FC Monmouth on Saturday, June 1. The Stars will return home briefly to host New Jersey Copa on Saturday, June 8 before playing a pair of mid-week away matches at Hershey FC and Torch FC on June 12 and 19, respectively. Following those two matches, the Stars will welcome fierce local rivals West Chester United on Sunday, June 23 in the second leg of the I-76 Derby before closing out their 10-game regular season schedule at home against Electric City Shock FC on Saturday, June 29. The top four teams in the Keystone Conference regular season standings will compete for the conference title in the Keystone Conference Playoffs, with the semi-finals scheduled for Tuesday, July 2 and the final schedule for Saturday, July 6. The Keystone Conference champions will then represent the conference at the Northeast Regional Playoffs which are scheduled for Saturday, July 13 (semi-final) and Saturday, July 20 (final). Regional champion will then advance to the NPSL National semi-final on Saturday, July 27 with the National Championship game scheduled for Saturday, August 3. Season tickets and single-game tickets for all South Philadelphia Super Site contests can now be purchased at philadelphialonestarfc.com/tickets. Single-game tickets for road contests go on sale in April. *Home Games in BOLD. Home Games at South Philadelphia Super Site (1166 Bigler Street, Philadelphia, PA 19148).